This topic contains 1 reply, has 2 voices, and was last updated by Paul 6 months, 1 week ago. 1. On my previous theme, there wasn’t a thumbnail title overlay so all my cover photos have text on them. Since this theme does do title text overlay on cover images, I hid that style feature and made some css changes. 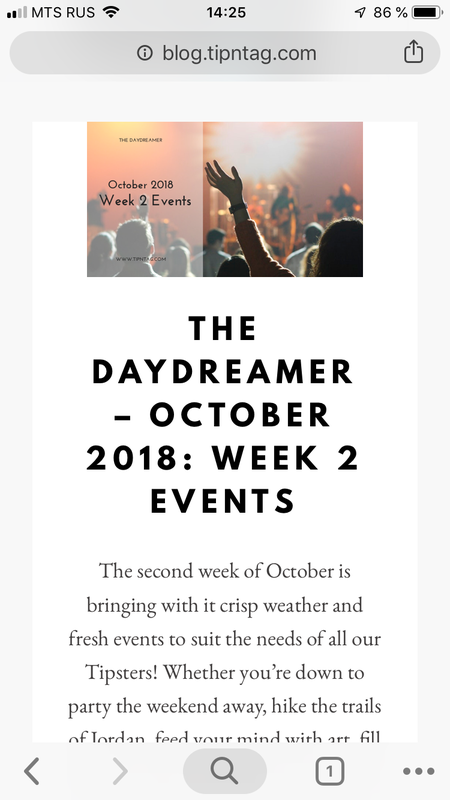 Now everything looks pretty good except only the mobile, the blog post page adds a lot of space between the image and the text http://blog.tipntag.com/daydreamer-october-2018-week-1-events/. Is there a solution for this. 2. Instead of “more posts” on the post page, can I do “related posts” based on similar categories? 1. Can you please confirm that you are still experiencing the issue with too much space? Here is what I’m getting on an iPhone – screenshot. Seems to have no excessive space. Or I am not quite getting what space you are referring to. 2. This is not available out-of-the-box and can only be done with a plugin (e.g. Jetpack has this functionality).